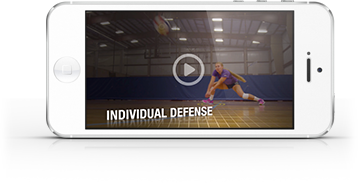 Looking for ways to train your blockers to read, close, block and transition off the net? Using a sequence of blocking drills, Head Coach Gwen Egbert of Doane University shows how you can help your players improve all of these essential blocking skills. In the drill, players holding volleyballs stand on boxes across the net to provide resistance for blockers as they work on everything from closing, pushing over the net and transitioning. The drill progresses to actual hits off the boxes as balls are played out.